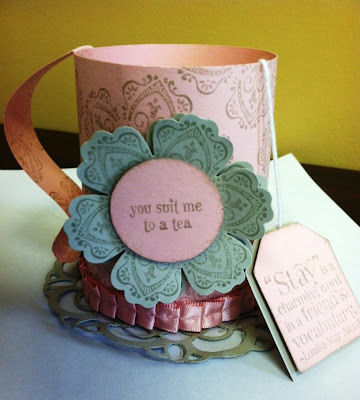 Stamp Whisperer: "You Suit me to a Tea"
"You Suit me to a Tea"
I can not believe it has been two months since I posted! I have been meeting with my upline and dear friend on Wednesdays and we have been so busy making cards and 3-D items. This is an exciting time to be a demonstrator with Stampin Up! they are so good to us demos! Currently Sale-a Bration is going on. For every $50 you spend you earn a free stamp set from our gorgeous Sale-a Bration catalog. If you don't have one let me know I will drop one off or mail you one. On to my project. The tea cup you see is CASE'd. which means its someone's idea. This cup came from a fellow demonstrator name Connie. It was so easy to make and it is just gorgeous in person. You can order the products from my online store. Contact me if you need help. Isn't it darling! I love it. Next up is a really neat technique that I found by another demonstrator but I made my own. 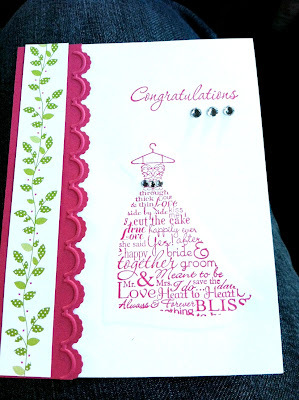 It was another way of dry embossing with left over scraps. This is my creation. 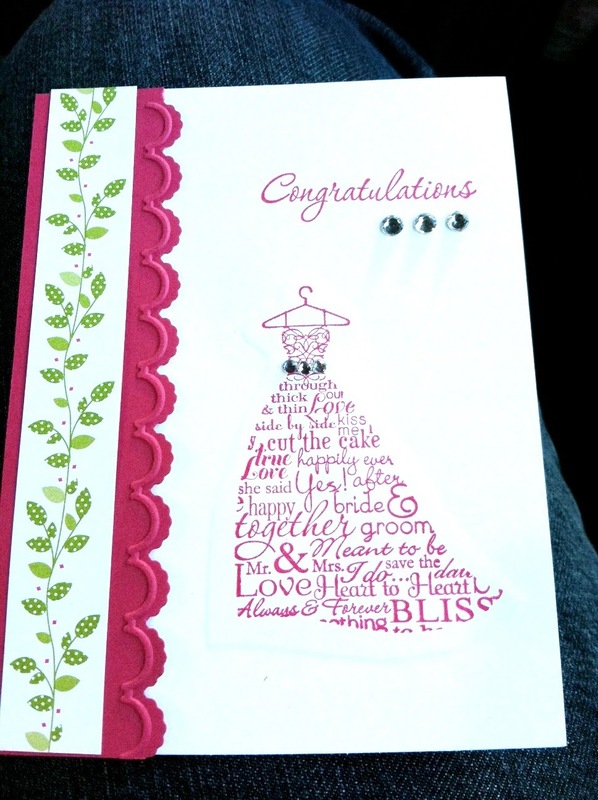 You might have to click on the picture to see that the dress has been dry embossed (raised). Have a great weekend. I will try to post more often.